Candy fans of all ages can enjoy the same fruity flavors as the Sour Punch® Straws packing an extra “punch” as a frozen carbonated beverage. Our mouthwatering Sour Punch Sip-N-Sour Slushies are a perfect balance of sweet and sour. 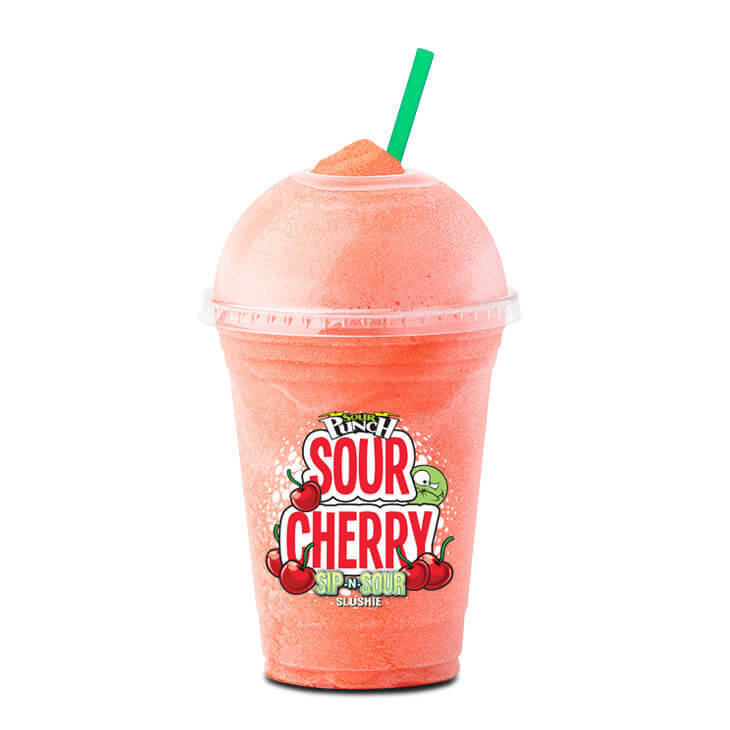 Punch up your taste buds with our frozen carbonated cherry-flavored beverage. High Fructose Corn Syrup, Filtered Water, Citric Acid, Tartaric Acid, Malic Acid, Artificial Flavors, Yucca Extract, Sodium Citrate, Quillaia Extract, Caramel Color, FD&C Red #40, Sodium Benzoate, Potassium Sorbate. 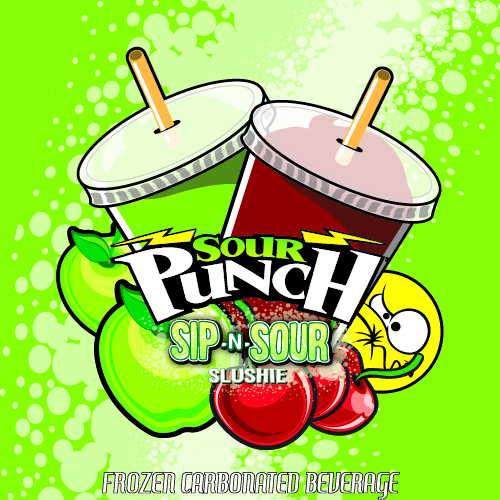 Our mouthwatering Sour Punch Sip-N-Sour Slushies are a perfect balance of sweet and sour. 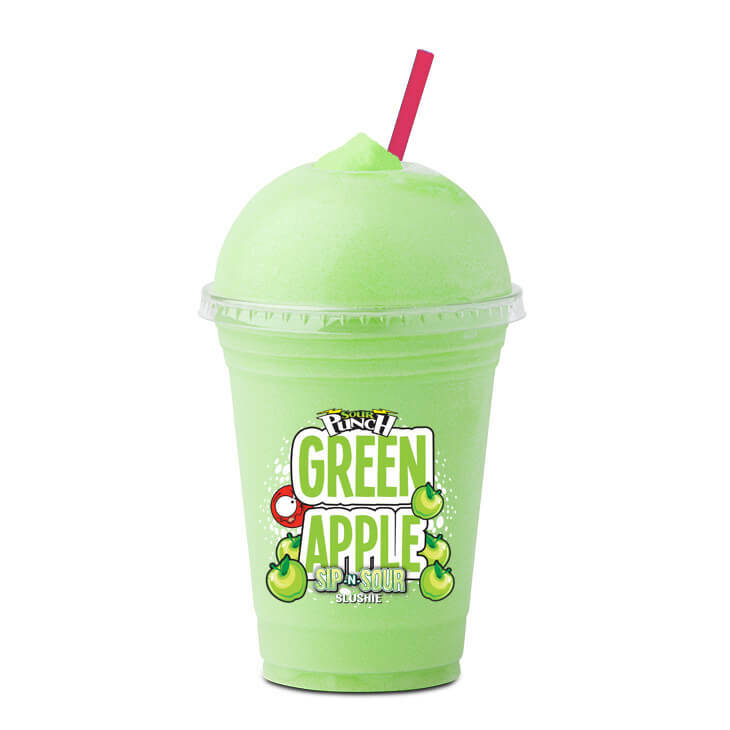 Punch up your taste buds with our frozen carbonated green apple-flavored beverage. 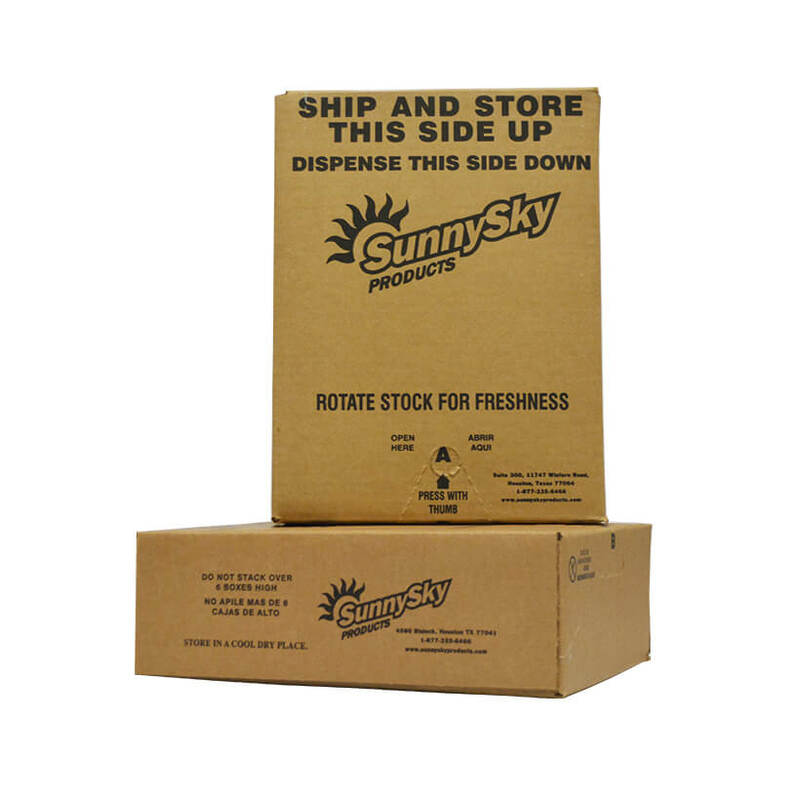 High Fructose Corn Syrup, Filtered Water, Citric Acid, Tartaric Acid, Malic Acid, Artificial Flavors, Yucca Extract, Sodium Citrate, Quillaia Extract, Caramel Color, Sodium Benzoate, Potassium Sorbate, FD&C Yellow #5, FD&C Blue #1.